DB Cooper case close to end. Marla Cooper claims he was her uncle. It looks as if DB Cooper case, the notorious skyjacking saga that baffled US authorities for 40 years may finally be coming to a close. Marla Cooper from Oregon, who claims her uncle was the elusive criminal known only as DB Cooper says she has been told by the FBI that the case is about to be closed. Burdened by guilt over her knowledge surrounding the case, Marla Cooper came forward earlier this year, claiming she had a 40-year-old family secret protecting her uncle, a man named Lynn Doyle Cooper. Marla Cooper said she was eight years old when her uncle, whom she called LD Cooper, came to her home for Thanksgiving – the day after the infamous incident – and was badly injured. She never saw her uncle again after that day and was told he died in 1999. It was the FBI’s most promising lead after the Northwest Airlines flight from Portland to Seattle was hijacked and robbed following a bomb threat on the night of November 24, 1971. 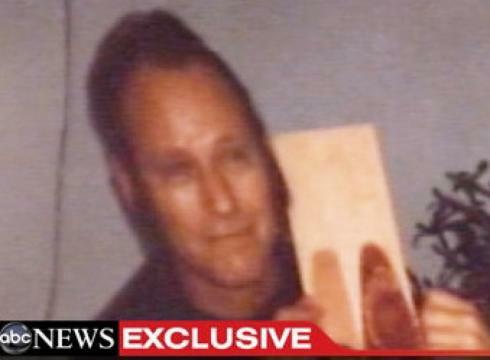 Marla Cooper also provided investigators with a photograph of LD Cooper and a guitar strap that he owned for fingerprint testing. While the results of the fingerprint test have not yet been determined, authorities seem eager to end the investigation. Marla Cooper also said that her uncle was fixated on a comic book character named “Dan Cooper”, the name the skyjacker gave the airline before boarding. FBI officials told the station that they are conducting the tests, but would not comment on their next move in the case. As for the $200,000 ransom, the woman believed Lynne Doyle Cooper lost it all as he parachuted to earth. DB Cooper has intrigued everyone from federal agents to amateur sleuths. On that day in 1971, the suspect, who was wearing a suite and sunglasses, boarded the flight after buying a $20 one-way ticket to Seattle. DB Cooper told the captain that in return for $200,000 and four parachutes, he would allow 36 people to leave the plane when it landed in Seattle. 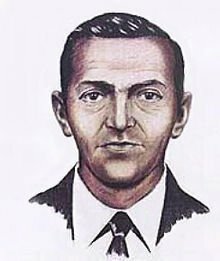 The FBI agreed to the swap and the plane took off again under DB Cooper’s orders to fly towards Mexico at an altitude of under 10,000 feet. Somewhere over the lower Cascade mountains in southwestern Washington, DB Cooper stepped out of the plane with a parachute strapped to his back. DB Cooper was never seen again. Several people even claimed to be DB Cooper at times, but were dismissed on the basis of physical descriptions, parachuting experience and, later, by DNA evidence recovered in 2001 from the cheap, clip-on tie the skyjacker left on the plane. Items recovered from the skyjack include $5,800 of the stolen money, in tattered $20 bills and DB Cooper’s tie. Many believe that DB Cooper was Richard McCoy, a Vietnam War veteran, experienced parachutist and BYU political science student who staged a similar hijacking several months later. But the FBI has said that Richard McCoy – who was killed in a shoot-out with law enforcement officers after a prison break in 1974 – simply didn’t fit the description of DB Cooper provided by two flight attendants.